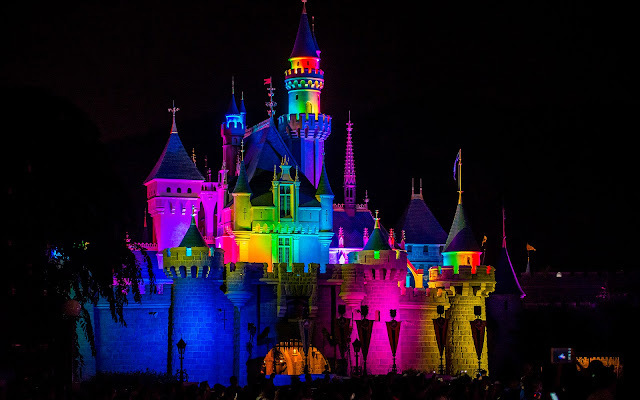 It happens right before the Paint the Night Parade... Sleeping Beauty Castle is lit up in a spectrum of colorful lights, which shift and pulse with a familiar Main Street Electrical Parade reference and the beat of the upcoming parade. 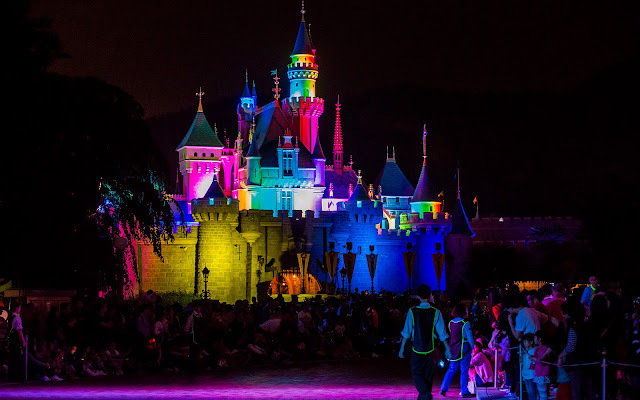 But this isn't Disneyland California--it's actually Hong Kong Disneyland, and instead of just a couple of towers lighting up, it's the whole castle in a rainbow of lovely colors. Even better, the castle maintains it lit colors once the parade starts. I wish they did that here, but I guess this makes Hong Kong's parade a little bit special!